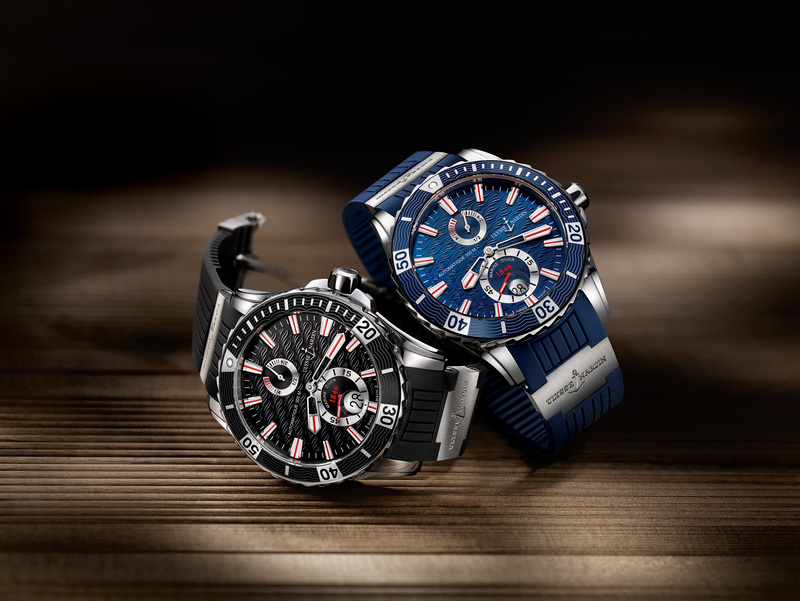 The fully redesigned Marine Diver showcases all the qualities of a genuine diving watch, with its screw-locked crown, rotating bezel and case that is water-resistant to 300 meters. 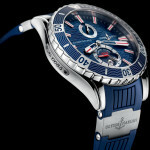 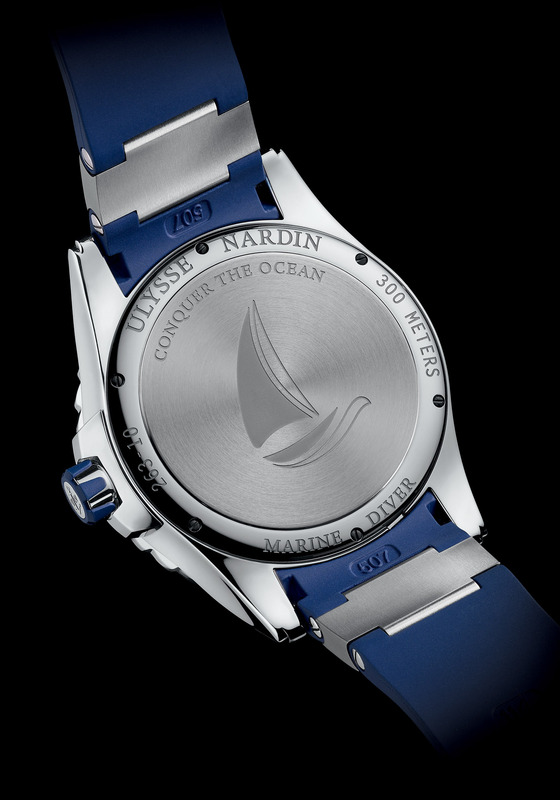 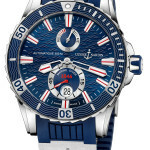 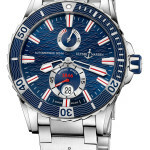 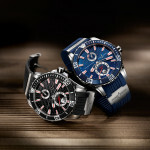 The marine world holds no secrets from Ulysse Nardin. Having contributed to the conquest of the oceans through the development of its legendary marine chronometers, the watchmaker has now anchored its impressive know-how in the sub-aquatic depths. 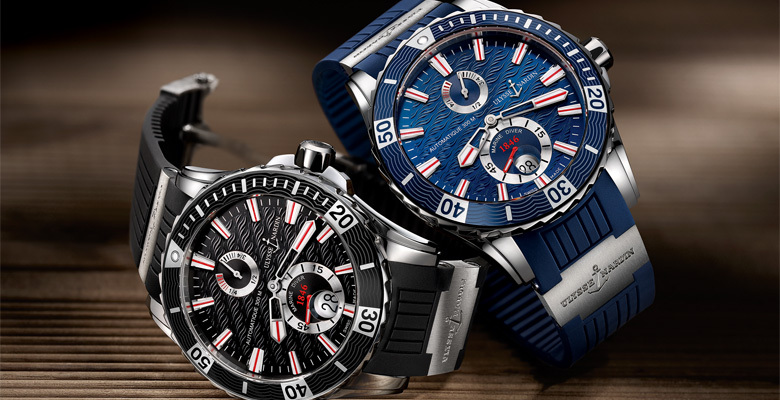 Fully redesigned, the popular Marine Diver is both a highly reliable diving instrument and a fine sports watch that can be worn on every occasion. 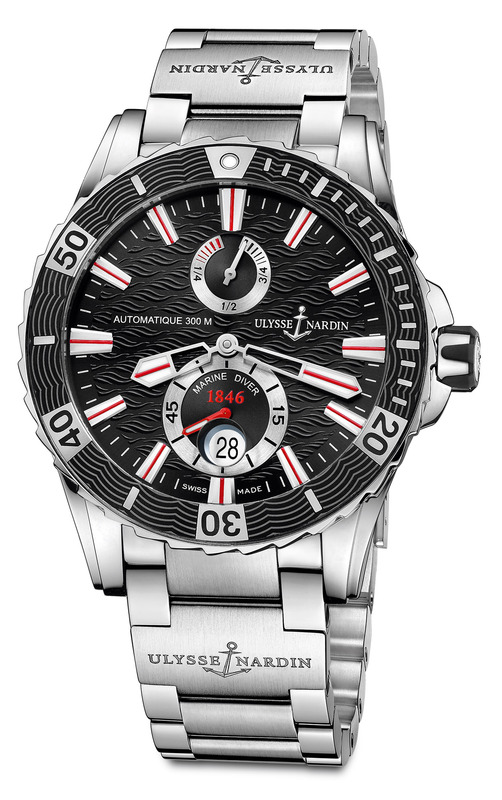 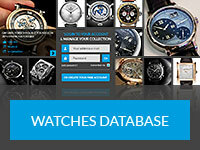 In terms of performance, this watch has all the attributes required of a diving watch. 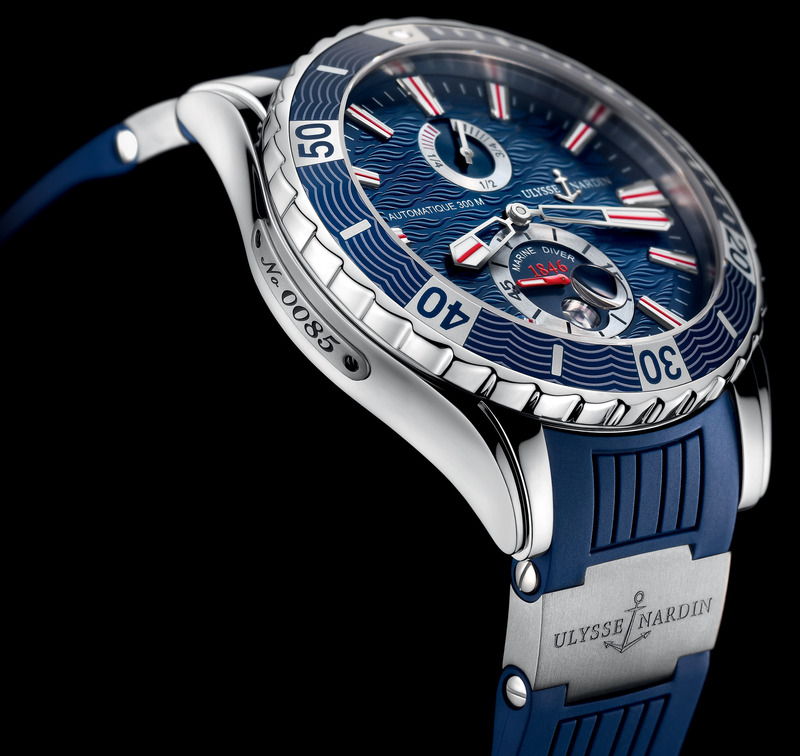 Boasting exceptional water resistance to 300 meters, made possible thanks to the screw-locked crown and case-back, it also features a unidirectional rotating bezel, which prevents any accidental adjustment to the dive time. 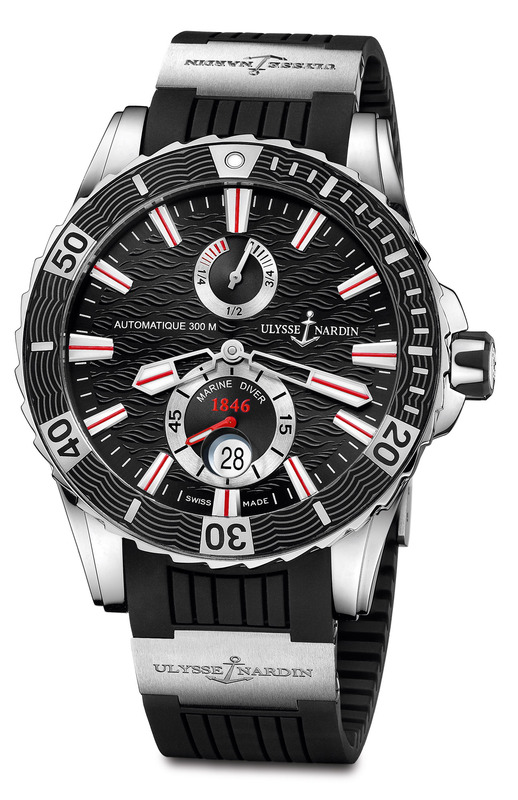 For the same safety reasons, every aspect of the new Marine Diver has been designed to facilitate the reading of its precious indications: The impressive 44 mm face displays large hour-markers and hands with a white luminescent coating and a red stripe, for perfect visibility. 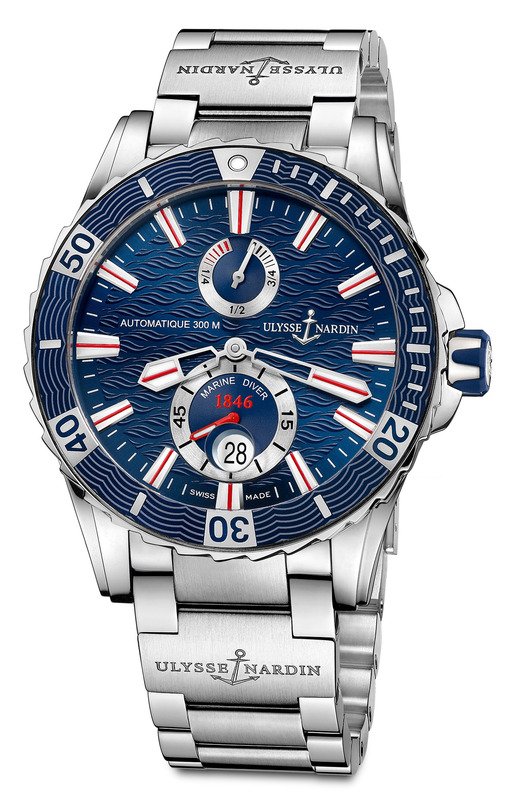 The small seconds at 6 o’clock are also oversized, offering a reassuring sign that the watch is functioning as it should, even in the water’s murky depths. 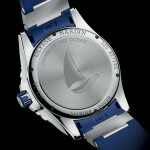 Lastly, the claw-shaped rubber molding over the crown ensures it is easy to grip, even with diving gloves.